“Cinnamon is a spice obtained from the inner bark of several trees from the genus Cinnamomum that is used in both sweet and savory foods” (Wikipedia). Ceylon cinnamon is known as true cinnamon. It has a lighter color and a milder taste than cassia cinnamon. Cinnamon is good for your heart in that it lowers blood pressure. It also reduces the amount of bad cholesterol in your body. By including cinnamon in your daily diet, you will reduce the chances of getting a heart attack or stroke because your arteries will not get clogged up with fatty buildup. This spice also contains anti-blood clotting capabilities. Cinnamon is a major source of calcium, which also plays a major role in lowering cholesterol. Since this spice is also an excellent source of fiber your bile ducts will move the cholesterol out of your body more effectively. Cinnamon contains cinnamaldehyde which “gives cinnamon its flavor and odor” (Wikipedia). This essential oil plays a major role in preventing blood platelets from joining together, thus reducing the risk of blood clots. With over 50 milligrams of calcium per teaspoon of cinnamon, you not only are helping build bone density, you are also doing your heart a huge favor. Cinnamon is also an excellent source of magnesium which plays a key role in lowering blood pressure. When we do not have enough magnesium in our daily diets (320 milligrams for females or 420 for males) we run the risk of getting high blood pressure. Magnesium is needed for normal blood pressure and when we eat foods that are rich in magnesium, such as cinnamon, we will have lower blood pressure. Along with Vitamins C and K, cinnamon contains manganese. While this plays a key role in helping diabetics lower and maintains their blood sugar levels, this mineral also plays a role in reducing water retention and protects the liver from lipidosis or adipose dystrophy. It also activates the enzymes that are responsible for increasing metabolism and decreasing Low Density Lipoprotein (LDL), otherwise known as the bad cholesterol. Cinnamon is a natural pain reliever because of its anti-inflammatory properties. 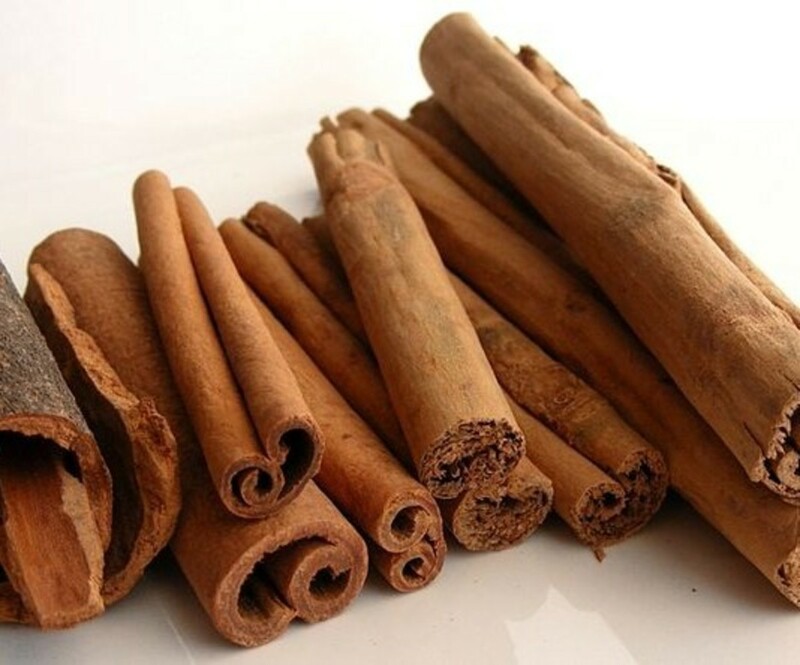 People who suffer from headaches, migraines, menstrual cramps, toothaches, arthritic pain, sprains and joint and muscle pain can find immediate relief either when taking cinnamon as a ground spice, chewing on a piece of cinnamon bark used as a massage oil. It is even effective in relieving pain after an individual has an operation. The next time you suffer from arthritis pain or have sore muscles after a day at the gym, chewing on a piece of cinnamon helps make the pain go away. Using cinnamon in your daily meals is an excellent way to aid to your digestive system. If you eat a spicy meal or over indulge at the all you can eat buffet, a little cinnamon goes a long way in relieving symptoms of indigestion such as heartburn, gas, irritable bowel syndrome symptoms, bloating, nausea and vomiting. 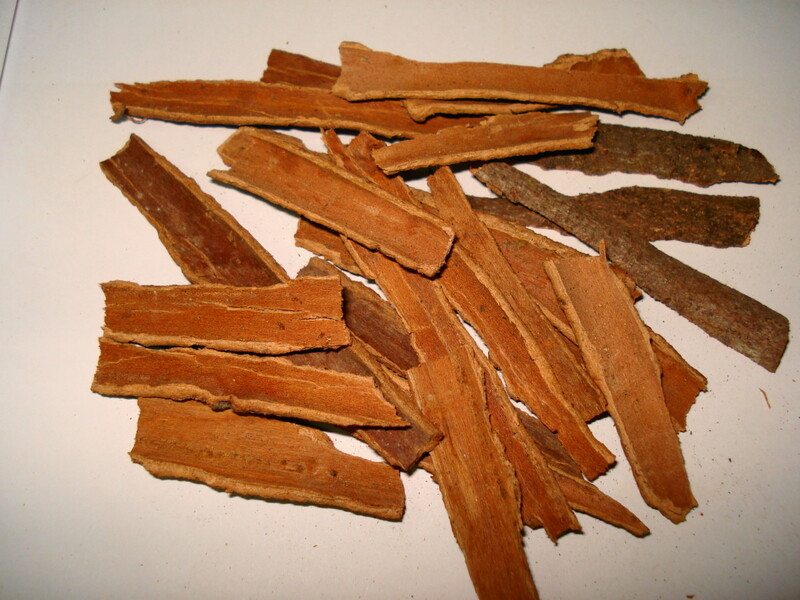 If you suffer from embarrassing flatulence, chew on a piece of cinnamon bark. Cinnamon also contains carminative properties which play a role in reducing intestinal gas. It is also effective in cleaning you liver of toxins and removing gallstones. Cinnamon contains diuretic properties. This spice is very effective in treating and preventing urinary tract infections, kidney infections and stones. Cinnamon contains antiviral properties. If you are suffering from the stomach flu, drinking a tea that contains this herb helps relieve you of vomiting and diarrhea. If you include cinnamon in your daily diet, these antiviral properties of this herb may protect from catching the stomach flu and other viral infections. Cinnamon increases energy by improving the circulation of blood and oxygen throughout the entire circulation system. This also gives people, especially athletes, more energy and stamina. This also helps if you have a hectic schedule and are feeling fatigued. Cinnamon gives you the edge to get through the day. With its reputation of increasing energy naturally, it is healthier to take cinnamon than to guzzle a Monster. 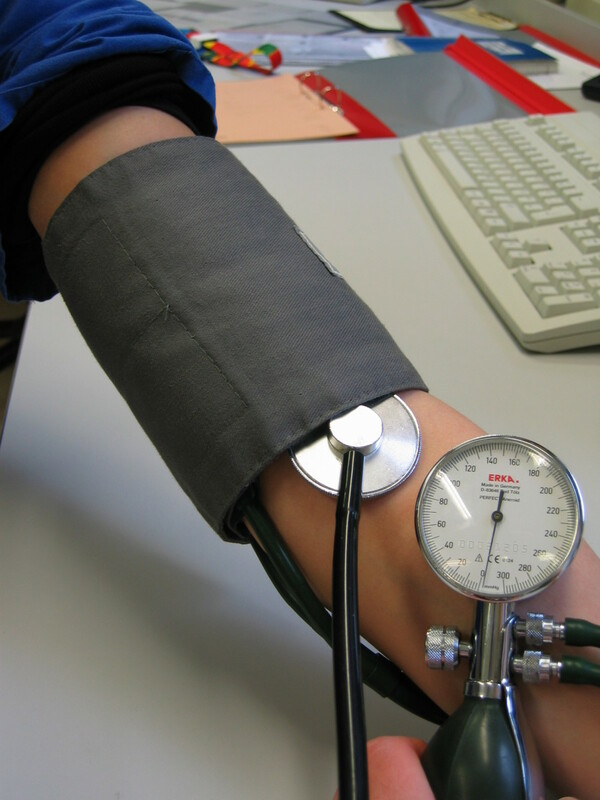 Individuals who suffer from poor circulation may have cold hands and feet. This is known as Raynaud's Disease. Since using cinnamon improves blood circulation, it will make the symptoms of Raynaud's Disease go away. It also helps people who suffer from swollen ankles and feet due to poor circulation. To treat poor circulation, take a teaspoon of cinnamon before you go to bed. This spice helps dilute the blood vessels, therefore increasing circulation. You will have warm hands and feet in no time at all. You can also use cinnamon externally to warm up your hands and feet since this spice is considered to be a rubefacient which “produces redness of the skin e.g. by causing dilation of the capillaries and an increase in blood circulation" (Wikipedia). Cinnamon contains astringent, antiseptic and anti-bacterial properties. A cream containing this spice and honey can be applied to the skin to treat conditions such as acne, eczema and psoriasis. Because it has antibacterial properties, cinnamon can be used to treat cold sores, bee stings, mosquito bites, cuts and scrapes. Because of its antiseptic and anti-bacterial properties, cinnamon prevents cuts and bruises from getting infected. 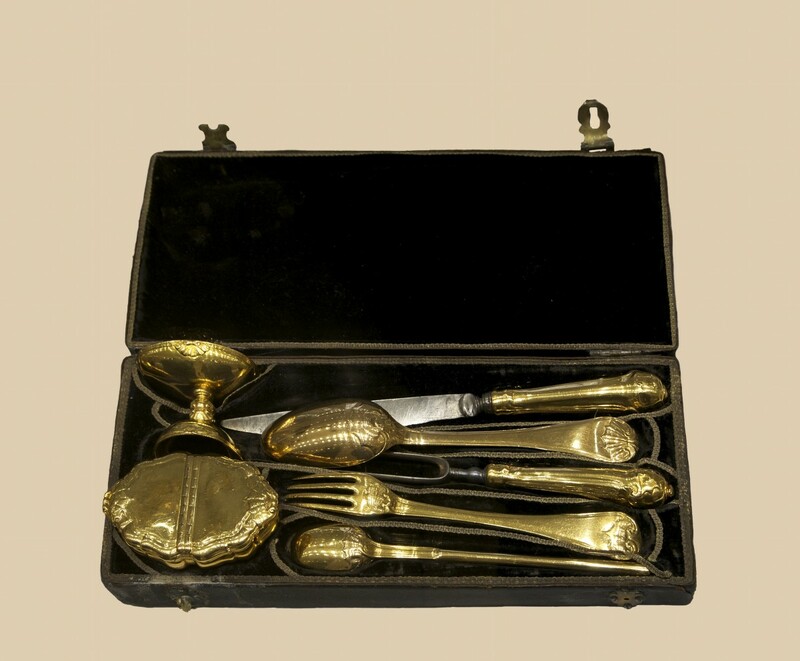 It can even be taken internally to be used to treat ulcers. Cinnamon contains anti-fungal properties. You can use this spice to treat conditions such as athlete's foot and toenail fungus. Cinnamon boosts the immune system because it contains flavonoids and bioflavonoids-two very powerful anti-oxidants. If you have a cold or the flu, this herb helps fight the symptoms. You can even prevent yourself from getting sick in the first place by including cinnamon in your daily diet. 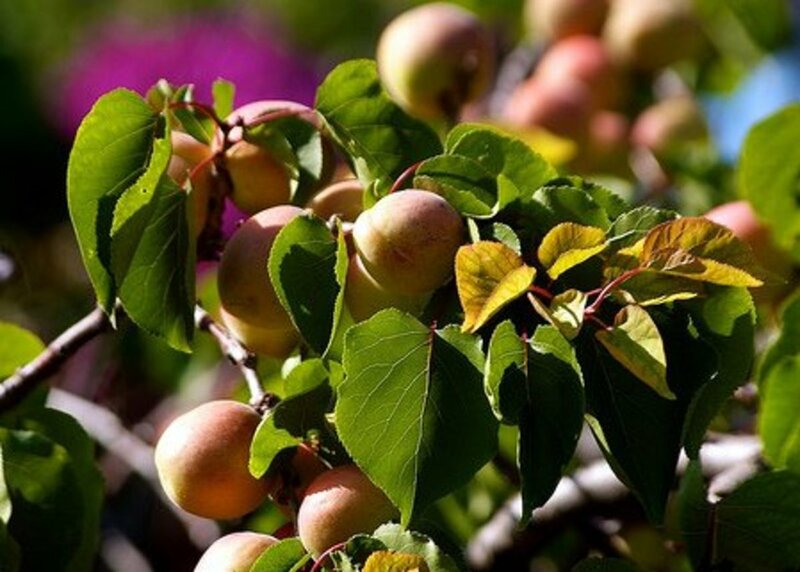 The anti-oxidants also help repair cells that are damaged by free radicals. Cinnamon helps with brain function. If you are a high school or college student, chances are you take tests. Maybe you have no problem studying for a test and taking it. However, you may be other type of person who cannot memorize anything. You may have studied and prepared for weeks. However, when you go to take the test, you draw a complete blank. Taking cinnamon-whether it is eating a piece of candy, chewing on a piece of cinnamon or even inhaling the fragrance-helps strengthens your cognitive abilities. Not only will you memory be improved, you may notice that your hand-eye coordination has improved as well. Since cinnamon contains calming and relaxing properties, you will not feel stressed when you go take the test. While most of us like to use cinnamon to flavor our toast, oatmeal, pastries, pies, cakes, fruit and to enjoy the health benefits of it as well, some people do not like using cinnamon. One of the reasons some give is that it is too spicy for them. Another reason people give is that they are trying to lose weight and cinnamon flavored foods is going to make them gain weight. If you are one of these types of people who do not like the taste of cinnamon, but still want to enjoy the health benefits of this spice, you can always take it in capsule form. It shares the same health benefits such as relieving arthritis pain, lowering cholesterol and lowering blood sugar. While you relate cinnamon to such delicious treats as apple pie, cinnamon rolls and sticky buns-and either can easily purchase this spice at any grocery store and even might already have it in your cabinet-you may wonder how diabetics can benefit from this spice. Shouldn't they be watching their sugar? Wouldn't cinnamon make their sugar levels go even higher? Believe it or not, there are many beneficial reasons why diabetics should include cinnamon in their daily diet. First of all, cinnamon plays a role in decreasing insulin resistance. Insulin resistance is a condition in which the body produces insulin but does not use it effectively (verywellhealth). With a person without diabetes the sugar is absorbed by the body's cell. However, if an individual has diabetes the sugar is built up in the blood. When this happens, the sugar levels continue to build up. This in turn can eventually lead to pre-diabetes and Type 2 diabetes. This insulin resistance can go on for years before an individual is actually diagnosed as being diabetic. One of the main reasons why an individual becomes insulin resistant is because when they were younger they over consumed sugary treats. Adding cinnamon to your daily diet will help decrease insulin resistance. Even you are not diabetic, using cinnamon will reduce your chances of getting diabetes. If you do not have diabetes, your pancreas works to release insulin that helps lower your blood sugar level “by prompting the liver and muscles to take up glucose from the blood and store it as glycogen” (diabets.co.uk) In healthy individuals, the glycogen effectively keeps your blood sugar at healthy levels. If it is too high, it is stored in the liver and muscles. If it is too low, it is moved throughout your body. 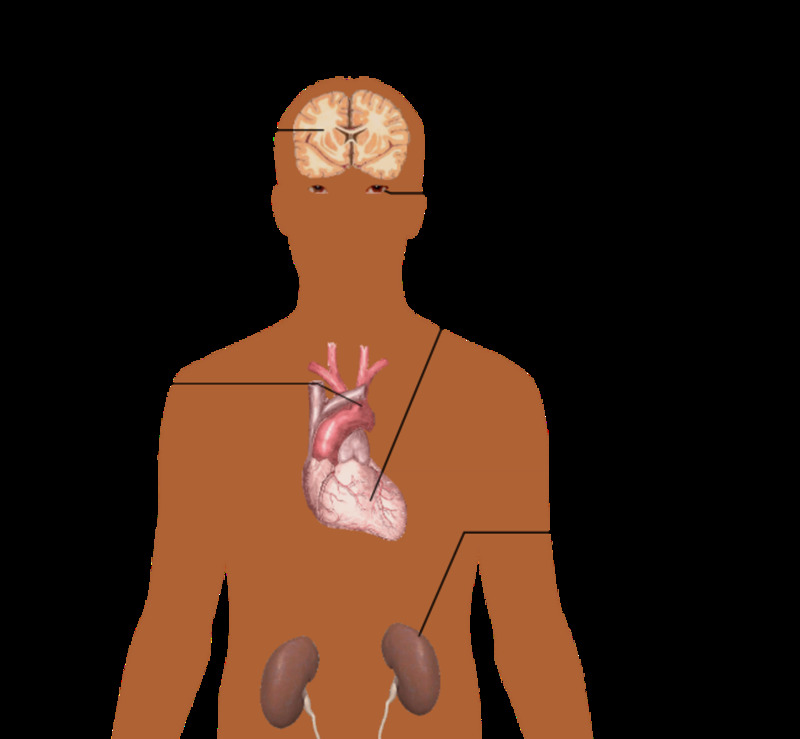 When a person is diabetic, the pancreas does not release enough insulin to keep your sugar levels at a safe level. Since the sugar is being stored in the blood and not absorbed through the cells, not enough glycogen is being produced. That is one of the reason why some diabetic individuals experience a sugar crash with a blood sugar level of 70 mg/dl or lower (webmd). Cinnamon plays a major role in releasing more insulin which, in turn, helps produce more glycogen. “Diabetes tends to lower "good" cholesterol levels and raise triglyceride and "bad" cholesterol levels, which increases the risk for heart disease and stroke” (heart.org). Known as diabetic dyslipidemia, diabetics have a higher chance of dying from heart related diseases than those who do not have diabetes. Since it is already known that cinnamon lowers bad cholesterol and triglycerides, people with diabetes will have double the benefits of including cinnamon in their daily diets. “The insulin receptor substrate-1 (IRS1) is a critical element in insulin-signaling pathways” (ncbi). This element is necessary for glucose to be absorbed into the muscle tissue. When this is mutated in any way the individual may a higher chance of getting Type 2 diabetes. Through studies, it has been seen that cinnamon helps increase the amounts if IRS-1. Found in skeletal and cardiac muscles and and adipose tissue, Glucose Transporter Type 4, or GLUT-4, plays a very important role of moving sugar from the blood to the cells and tissues. When an individual has Type 2 Diabetes, the GLUT-4 transporter is impaired. Cinnamon helps the GLU-4 transporter mechanisms move the glucose out of the blood and aids in stabilizing blood sugar. While it is an excellent sugar substitute for people with diabetes, you may ask yourself how effective it is for people who have high blood pressure. Since cinnamon is known to lower high levels of bad cholesterol. This spice plays an important role in lowering blood pressure. Many of us relate cinnamon as a main ingredient in many deserts or as a sweet addition to the butter on toast or oatmeal. Not only can you add cinnamon as an addition to many juices, teas and yogurts, you can also use cinnamon as a salt substitute for many soups, salads and meat dishes. Believe it or not, there are many meat recipes with cinnamon as a main seasoning. All you need to do is look in your cookbook at different recipes. If cinnamon is not listed as an ingredient, you can always substitute it for salt. If you are not satisfied in what you find in your cookbooks, you can do an on line search inquiry for “meat recipes with cinnamon,” for example. 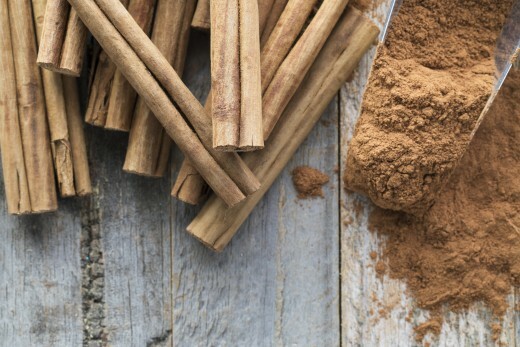 Did you know about the health benefits of cinnamon? With the side effects of many prescriptions and over the counter medications, more and more doctors are referring their patients to treat various health ailments and conditions. While they are safe to consume, using herbal medicine is safer for the environment. Has this ever happened to you? You have a chronic condition and you have been taking a certain medication for a while. You just get your prescription filled and the doctor decides to change your medication? One of the reasons he may do this is because your medication is not doing what it is supposed to do. Another reason, and a scary one at that, is your medication has been recalled because of the possibility that this medication may cause cancer. What do you do with your unused medications? Do you throw the pills in the garbage? Do you flush them down the toilet? Some places, such as drug stores, have collection spots for unused medications. However, wouldn't you want something more convenient so you do not have to waste gas to properly dispose of unused medications? Cinnamon has found a home in the medical field. Asides for its sweet flavor and scent, studies are constantly being done on this spice to find more and more medicinal uses. Full of elements, vitamins, calcium, iron and fiber in just one teaspoon of cinnamon, this spice is effective in treating many conditions ranging from the common cold to treating diabetes, lowering high blood pressure and heart related diseases. If you are suffering from any condition, talk to your doctor on is thought of cinnamon. If he has not already included this spice on his list of recommendations, explain to him about the health benefits of this wonderful spice. Both honey and cinnamon are two excellent, delicious tasting, natural foods that have many health benefits. What if the two were mixed together. You will have an excellent mixture for many health conditions and ailments. Many different cultures around the world, even dating back to the ancient times, have been using both honey and cinnamon as a crucial medicine. Even today many doctors and scientists are accepting the fact that at least 95 known diseases, to include diabetes and heart related diseases, have been thwarted by honey and cinnamon. Research is continuing in this field. If you have itchy skin, make a paste of mixing a teaspoon each of honey and cinnamon with two teaspoons of warm water. Rub it on the itchy part of your skin. Between ten and fifteen minutes the itch will be gone. If you want to get rid of pimples, try this little trick. Before you go to bed, mix three tablespoons of honey and one of cinnamon and apply this mixture to your pimples. When you wake up, wash your face with warm water. Within two weeks the pimples will be gone. This also works if you suffer from eczema, psoriasis, ringworm and other skin conditions. If you suffer from arthritis, even rheumatoid arthritis, mix two teaspoons of honey and one of cinnamon in an eight ounce glass of warm water. If you do this every day, you will notice that your arthritis pain will disappear. If you are losing your hair, or want to prevent yourself from going bald, mix a tablespoon of honey and a teaspoon of vinegar in olive oil. Rub this mixture in your hair. Wait fifteen minutes and wash it out. If you suffer from bladder infections or kidney stones, mix a teaspoon of honey and two tablespoons of cinnamon in an eight glass of warm water. Since both of these contain bacteria fighting properties, drinking this will clear up your infection in no time at all. If you have a toothache, mix some honey with cinnamon and apply it to the aching tooth. These both have pain fighting properties. Do this several times a day until the pain is gone. To fight cholesterol, mix a teaspoon each of honey and cinnamon in a cup of tea. Drinking this everyday will keep those number lower. 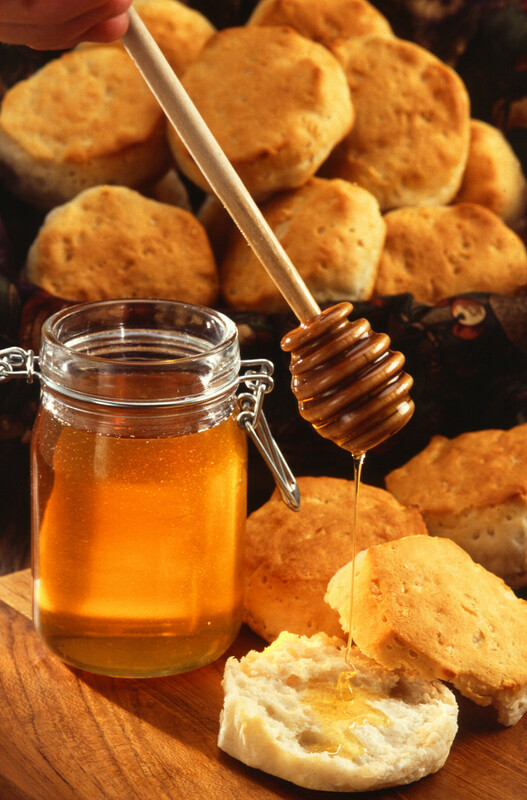 You can even use a mixture of honey and cinnamon as a spread for your toast in place of jelly. These are two delicious ways to reduce the risk of having a heart attack or stroke. If you are suffering from a cold or the flu, mix a teaspoon of honey with a teaspoon of cinnamon. Keep taking this several times a day until the symptoms disappear. Mix a teaspoon of honey with a teaspoon of cinnamon if you want to get rid of stomach gas. This also works for stomach cramps, menstrual cramps, nausea and vomiting. If you want to lose weight, mix a teaspoon each of honey and cinnamon in warm water. Drinking it before you eat breakfast will help prevent you from overeating. Drinking this before you go to bed will help you curb your late night munchies. For fresh breath, mix an eight of a teaspoon each of honey and cinnamon with warm water and gargle with it. These are some of the uses of cinnamon and honey. The good thing about using one of the above honey and cinnamon combinations above, you not only will be treating one condition, you will also be treating and preventing many more because of their combined health beneits and healing properties. You can always find more by going to your local library or doing an inquiry online through such sites as Google.com. If you live in the United States, chances are you will mostly find cassia cinnamon at your local grocery store in the spice aisle. Some people have warned that there is a large amount of coumarin in cassia cinnamon. This toxic substance can cause liver and kidney damage if you use large amounts. Ceylon cinnamon (the true cinnamon) on the other hand, contains very little coumarin. Go to your local health food store and see if you can get Ceylon cinnamon there. Asides for the ground powder, you can also purchase it as a bark. If you are unsuccessful in finding Ceylon cinnamon locally, you have a good chance of finding it, and other products containing cinnamon online through sites such as Ebay.com and Amazon.com. Always talk to your doctor before you use cinnamon to treat your ailments regimen since this spice may interact with medicines and supplements you may already be taking. This is especially true if you are already on blood thinners, are taking insulin to treat your diabetes or are pregnant. Insulin resistance, also called impaired glucose tolerance, can be a precursor to type 2 diabetes. You may be able to stop it with diet and exercise. Glycogen is a stored form of glucose. It is a large multi-branched polymer of glucose which is accumulated in response to insulin and broken down into glucose in response to glucagon. The American Heart Association explains that people with diabetes are more prone to having unhealthy cholesterol levels, which contributes to cardiovascular disease or heart disease. It is surprising about all the good there is about cinnamon. You have prepaired a good list. Good information. Thank you. One drink I do is adding a teaspoon of lemon juice, honey, cinnamon, apple cider vinegar and ginger to an eight ounce glass of water. My husband is Type II and has been using honey for several years. Cinnamon can be classified as a superfood then from the many benefits listed above. I should include it in my daily meal as I suffer from regular bouts of flu and also a high blood sugar. The high vitamin C deposit should come in handy. Thanks for this eye-opening piece.